MAKE CARTERS BEACH YOUR DESTINATION WHILE VISITING THE NORTHERN WEST COAST. Modern Studio Suites overlooking Carters Beach, just 5 minutes from Westport at the upper most region of the South Island’s West Coast of NZ. Carters by the sea is the perfect location to stay a few days and experience what the Westcoast Northern beaches have to offer. We are 15 minutes from the famed Cape Foulwind Seal Colony and the stunning Lighthouse walkway to Tauranga Bay. The famous Pancake Rocks at Punakaiki are 40 minutes away and it is 80 minutes to Karamea with the Oparara Arches and Scotts Beach at the start of the Heaphy Track. We also have walking/biking trails at Charming Creek, the Denniston Plateau and the newly formed Old Ghost Road cycling trail all within 40 minutes from Carters Beach. Carters by the sea is 4 hours from Christchurch via the Lewis Pass, 3 hours from Nelson, 3.5 hours from Blenheim/ Picton and 3.5 hours from the Fox/Franz Glaciers. Ideally situated halfway between the Tasman Bay and the Westland Glaciers makes Carters by the sea perfect for that longer stay to relax and recharge. Remember Carters Beach is SANDFLY FREE. Contemporary ground floor accessible friendly studio offering a sea view from the deck, full kitchen, under tile bathroom heating, ceiling fan, luxurious queen and single bed and 40" LED TV. Contemporary spacious ground floor studio with deck and sea views, full kitchen, dishwasher, ceiling fan, luxurious king bed, 40" LED TV and under tile heating. Spacious upstairs contemporary studio overlooking the sea, full kitchen, dishwasher, under tile heating, ceiling fans, luxurious queen bed, 42" LED TV and occasional chairs. 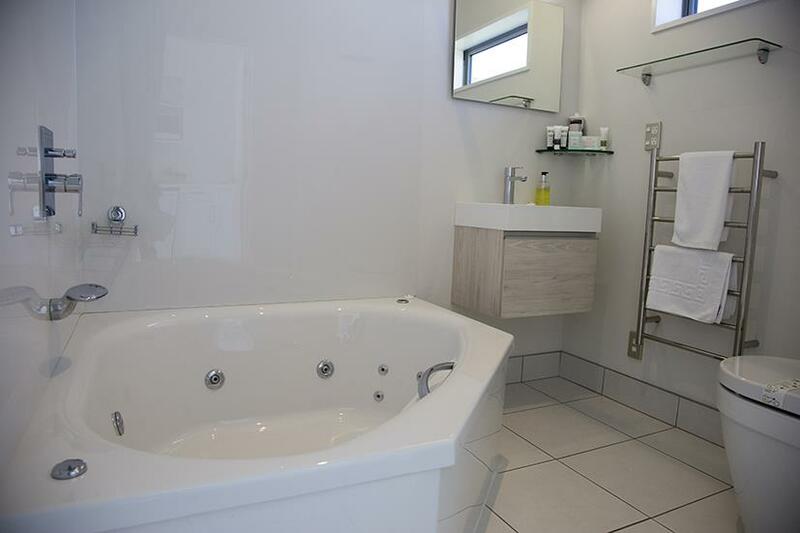 Spacious contemporary ground floor studio with corner spa bath with overhead shower, under tile heating, ceiling fan, full kitchen, dishwasher, occasional chairs, luxury queen bed, 42" LED TV and private deck overlooking garden. Spacious contemporary ground floor studio with luxurious queen and single beds, ceiling fan, under tile heating, full kitchen with dishwasher, 40" LED TV and occasional chair.Partial sea view down the driveway. Spacious upstairs studio with corner spa bath and overhead shower, under tile bathroom heating, ceiling fan, luxurious king bed, full kitchen with dishwasher, 42" LED TV and occasional chairs. This room has a sea view from over the complex. Spacious upstairs studio with sea view over the complex, under tile bathroom heating, full kitchen with dishwasher, ceiling fan, luxurious bed, 42" LED TV and occasional chairs. A NZ Great short walk with spectacular ocean views, steeple rocks, and a large year-round fur seal colony. An excellent track to the viewing platforms overlooking the colony allows wheelchair access and is an easy 10 minute walk. Raft the legendary Buller River Earthquake Rapids, the section with the most whitewater in the breath taking Buller Gorge. Adventurers will experience plenty of white water action. Challenge yourself at the “swim” rapid and the optional 8 metre cliff jump. Scenery and history combine in this walk along an historic bush tramway, with spectacular vistas up and down the Ngakawau Gorge, alongside an unfolding view of the Mangatini Falls. It's one of our best short walks. Enjoy a cave rafting adventure in the Paparoa National Park and experience stalagmites and stalactites up close. After being cruising for 3 weeks and staying in many varied levels of accommodation it was a delight to arrive at "Carters By The Sea" to a warm welcome, beautiful modern and well appoint accommodation that was back off the main road (but not far,) and be able to enjoy a quite night, walk along the beach directly in front and walk also to the local laid back restaurant less than 100 metre's away where the friendly service and good food matched the whole experience. Both being places I would willingly return to and set the high standard for the remainder of the trip. Well presented quality new motel with all the facilities you could want including a spa bath and a super view of Carters Beach. Lovely location - great for a stroll along the beach at any time of the day especially with the great weather we have been having. Our hosts were very friendly and helped organise my husband's trip to the Denniston mine which he thoroughly enjoyed. It was a stones thrown from an excellent restaurant - Donaldos - which we would recommend also. Would definitely stay at Carters by the Sea again.